The actual bits are now available for you to try! All my existing videos and posts are still accurate, produced with these exact same builds that I've been running and demonstrating since August. No beta code here, the real thing, now generally available. You will be required to create a VMware login if you don't already have one, and the free hypervisor still has a 60 day trial (if you don't enter any license information, as shown in my video). 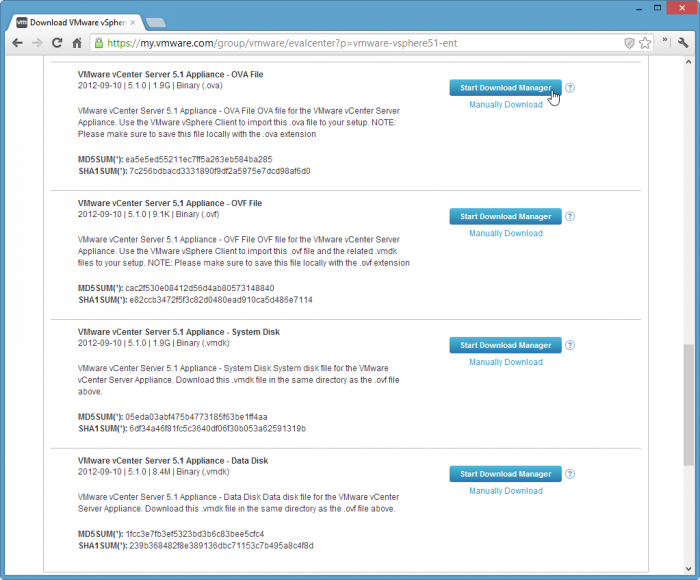 You can request a longer trial license and VMware will determine your eligibility. Once you login, and you'll see this screen pictured below. 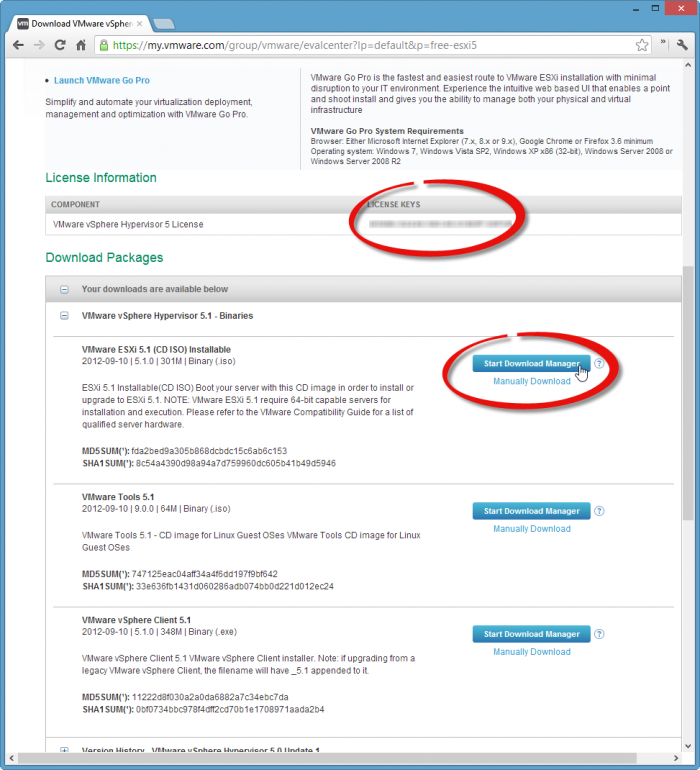 Don't forget to record this license key, to possibly use later. 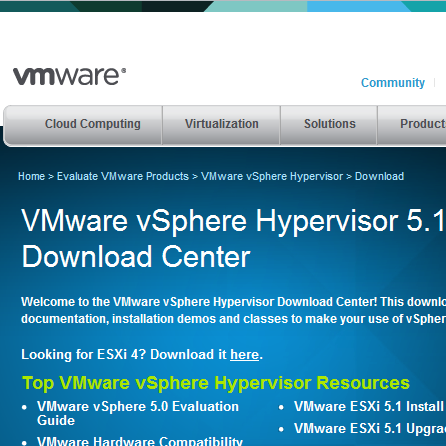 Then kick off just the vSphere Client download. If you click "Start Download Manager" it kicks of a Java based downloader that can handle multiple concurrent downloads, but you may prefer the "Manually Download" option, avoiding Java plug-in concerns. 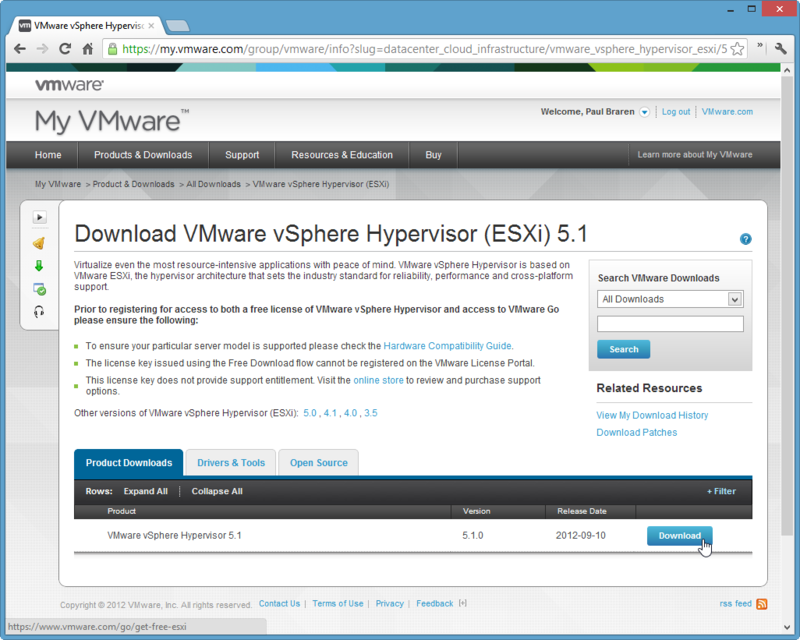 You don't need to also click the VMware vSphere client link now (which is why I didn't red-circle it below), since that same exact link is available from within your browser later on, when you point to to the IP or name of your freshly installed ESXi 5.1 host. Finally, here's the 4 files you need to download, ideally putting all 4 into a new folder/directory you create.